Imprint Method: 1 Color 1 Location - Provide your customers protection from the hot summer sun's glare off water or the winter sun's glare off snow. 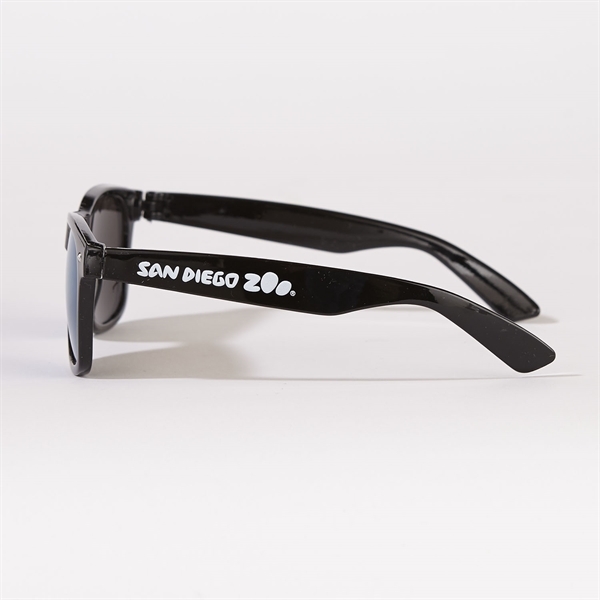 These sunglasses are classic and stylish with UV400 lenses and are a great give away year round. Size: 2 " x 5 " x .01 "